The University of Rochester Department of Physics and Astronomy invites applications for honorary Robert E. Marshak Postdoctoral Fellowship and Scientist positions in Physics. The Marshak Fellowships were established in 2004 to honor the distinguished career of Prof. Robert E. Marshak to offer young scientists the opportunity to pursue innovative research at the University Rochester in the fields of Particle and Nuclear physics. In 2006, the scope of the Marshak Fellowship Committee has been expanded to select Marshak Fellows and Scientist in the fields of (1) Particle and Nuclear Physics, (2) Plasma Astrophysics, and (3) Plasma Physics and Controlled Fusion. A fundraising drive for honorary fellowship and scientist positions in other subfields of physics is anticipated. Fellows and Scientists will receive, in addition to full salary support, a supplemental stipend of $2500 per year as well as a research expense fund of at least $2000 per annum to be used at their discretion. It is expected that this research will require the support of one of the established groups in theoretical or experimental Particle and Nuclear Physics, Plasma Astrophysics, or Plasma Physics and Controlled Fusion at Rochester . 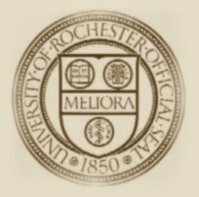 Accordingly, applicants for these fellowships are strongly encouraged to contact potential research advisors in these fields at Rochester in advance of submitting their application. Current postdoctoral positions with which these honorary Postdoctoral Fellowship and Scientist positions may be associated are often posted on the Physics and Astronomy Department web site , on the Laboratory for Laser Energetics web site, and on the University of Rochester Fusion Science Center web site. Applications will be considered on a rolling basis as they are received. Fellowship candidates will automatically be considered for other available postdoctoral positions in their fields of interest. In addition to research grants, funding for Marshak Fellowship and Scienetist positions is provided by the University of Rochester Department of Physics and Astronomy Marshak Fund, the University of Rochester Laboratory for Laser Energetics, and the University of Rochester Fusion Science Center. The University of Rochester is an Equal Opportunity Employer. Women, members of disadvantaged minority groups, veterans and disabled Persons are encouraged to apply.